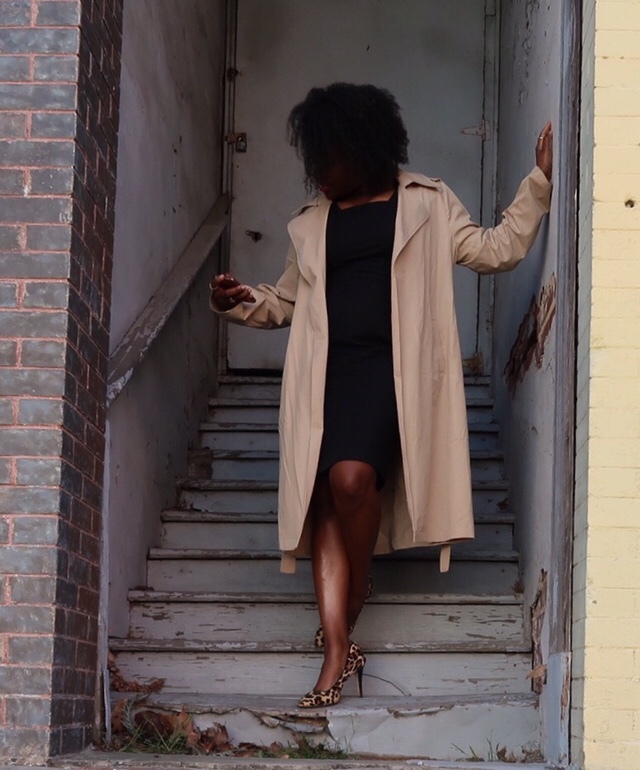 Trench Coat Power – Shanna C.
I can remember always wanting a trench coat when I was little girl. Every time I would seeing a woman wearing one on TV or in a movie, I immediately thought she’s in control. I don’t know why I equate trench coats to power, but they add a little extra spice to a woman’s attitude. I believe a trench coat helps to boost confidence. When I wear a trench coat I imagine myself taking charge of a room or commanding a room full people. It almost makes you feel like a super hero, like underneath is a hidden costume. Eventually, you will save the world in a trench coat. Don’t believe me…buy one? If you haven’t figured it out these shoes are my favorite pair of heels. They are the most comfortable pair of heels I own. I try to always incorporate them into my outfit. The dress is from Banana Republic. 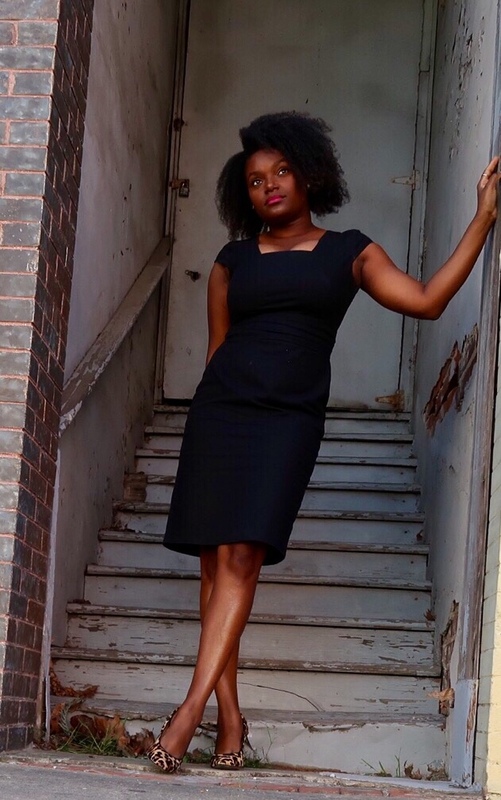 It is my standard black dress that I wear for any professional occasion. What item of clothing gives you a boost of confidence?